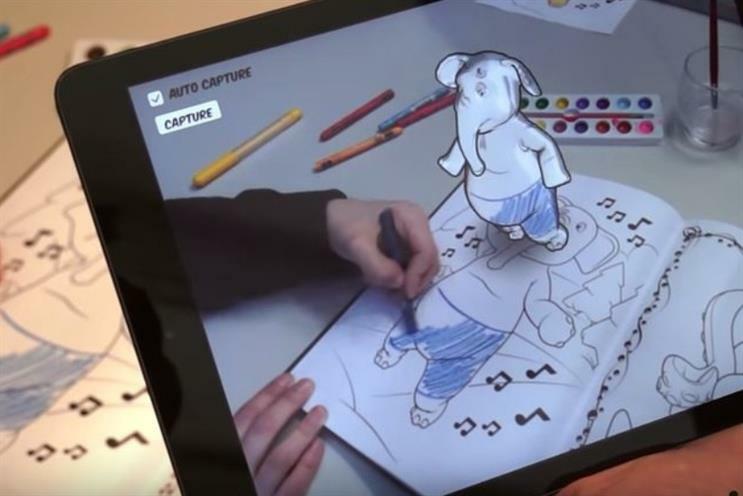 Disney's research arm has developed the concept of an augmented reality colouring book for kids, which brings characters to life in 3D as they are drawn on the page. The cartoon mega-brand has designed an app that digitises colouring for today's world and aims to put a "bridge between real-world activities and digital enhancements". Disney said the goal is to capture the imagination of children and give them an outlet for creativity in an age where "real-world activities can seem unexciting". The app would work by letting children "examine" their artwork using a mobile device that would show them a 3D character in real time, textured according to the child's colouring.